Their case study was a difficult one. She was a female athlete, playing field hockey in college. With the tough physical demands she was facing, the students had to ensure her nutritional needs were being met – getting enough calories and protein to maintain a healthy weight and lifestyle. She was also a vegan, and could not eat any animal product or byproduct. Miles was one of the freshmen students who took part in Kellam High School’s Bio Fit Exhibition of Learning Monday. It was the culmination of a monthslong partnership between students in physical education (P.E.) and biology courses. Seeing the overlap between the two curriculums, P.E. and biology teachers worked together on how students could apply their learning in the classroom to real-life scenarios. 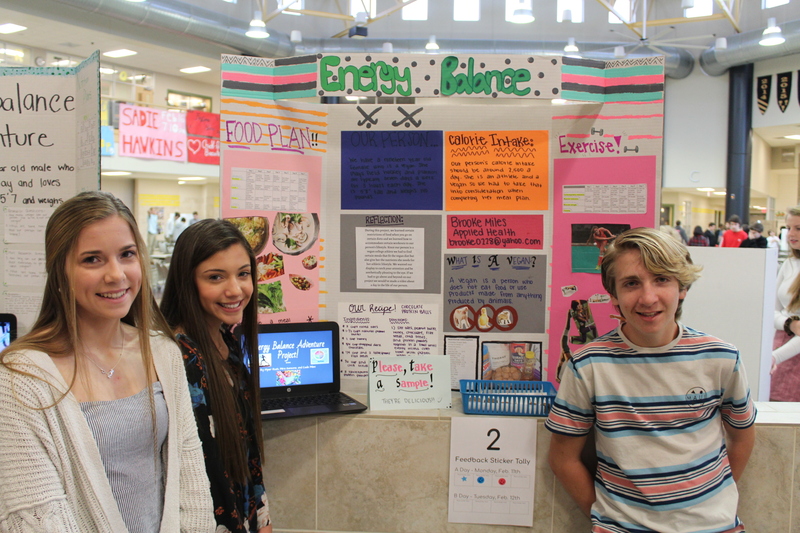 They did so via energy balance projects, specific cases that required dietary and fitness guidance to meet the specific goal. Students spent time in both classes researching nutritional guidelines and the impact of physical activity on metabolism and weight loss. Teachers brought in guests from Pivot Physical Therapy as well as the division’s Office of Food Services to talk through their expertise in personal training and food preparation, and they gave students some best practices to consider. 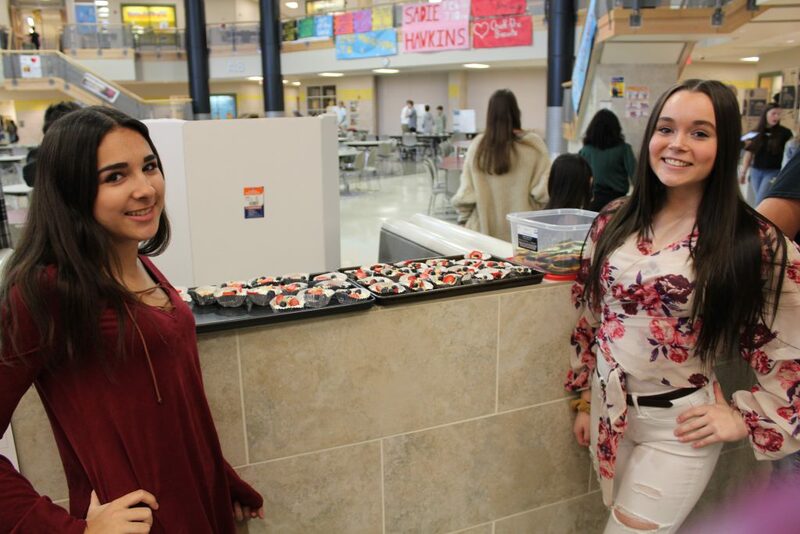 Anica Perez and Marissa Zmuda had to work a plan for a 15-year-old wrestler who was trying to lose weight. “A lot of wrestlers, to drop their weight, they stop eating; they run in sweats,” Perez said. The freshmen put together a program that included incorporating more rest days and getting more water after workouts. “This gives him a healthy alternative to lose the weight without it being unhealthy,” Perez added. As part of their presentation, the girls brought in some of the homemade snacks they recommended in their plans: peanut butter and honey granola topped with Greek yogurt and fruit as well as turkey sandwiches that used cucumber slices for bread. Throughout Kellam’s cafeteria, more than two dozen stations were set up, with students eagerly describing their scenarios as well as their ascribed plans and thought processes. 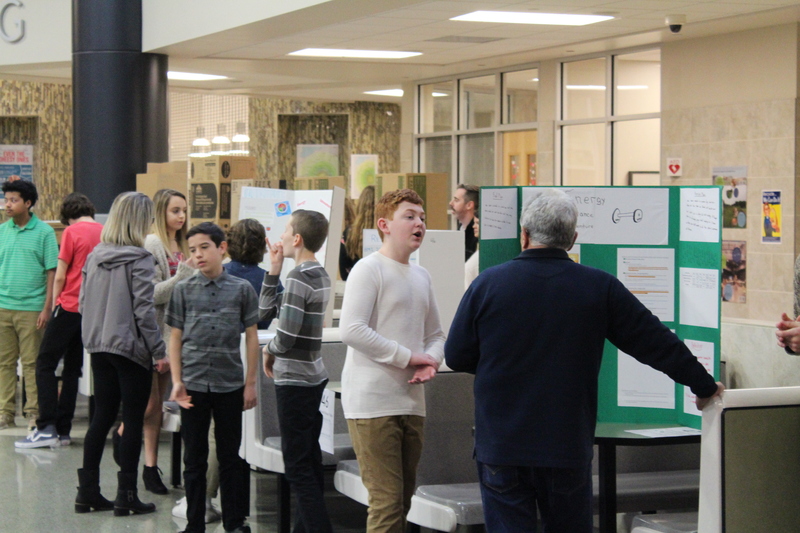 Volunteers from the West Neck Educators Association and the division’s Department of Teaching and Learning joined Pivot volunteers and Food Services staff to hear the students’ research, give feedback and rate the effectiveness of their plans. Kellam began the Bio Fit class together last year, building it this year to the Exhibition of Learning event. They also have shared their insights with colleagues at Bayside and Landstown high schools, who have recently started the same collaborative program. For staff it has been an opportunity to further engage young learners. For the students themselves, it’s helping make the cross-curricular relationship of their school day more apparent.